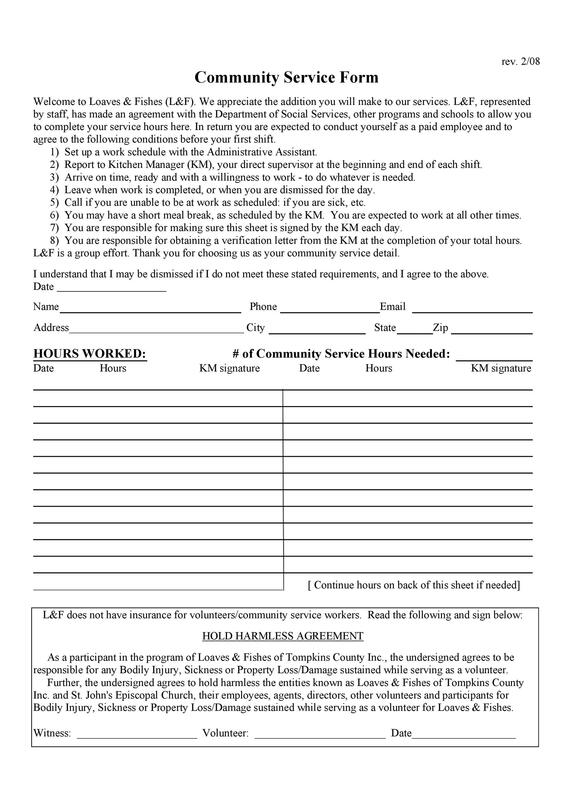 Other important information in such a letter are the specific job title of the person (if any) and the contact details of the organization who had issued the letter. This is in case there are any questions to be answered or clarifications to be made about the information on the document. 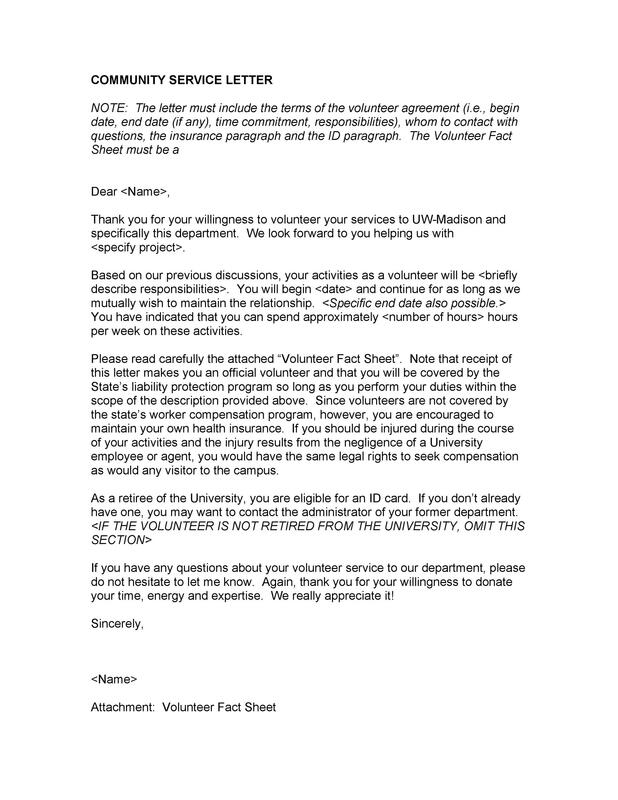 There are different purposes for requesting for such a letter, which will be discussed later on in the article. 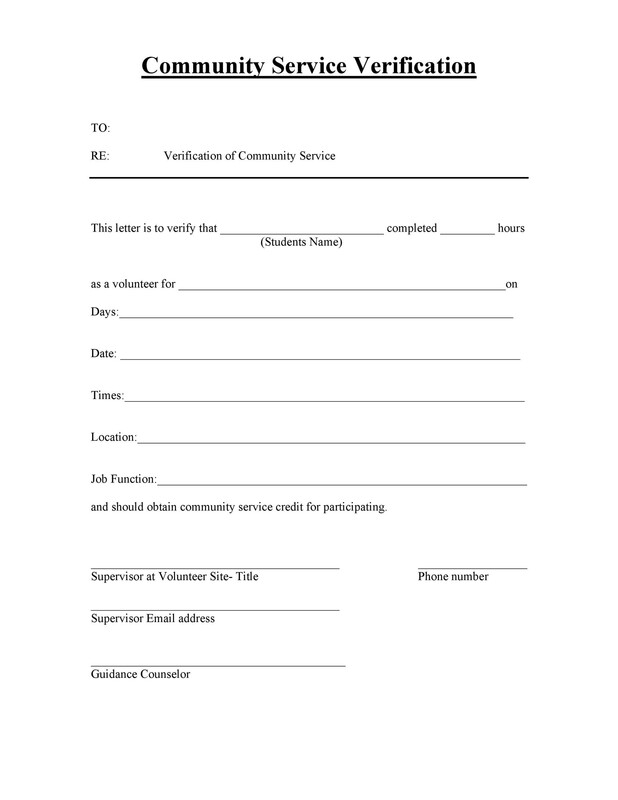 Basically, it’s a document which would confirm, in writing, that you have done any community service. It would also explain all the details of the work you had done for the organization. There is no set format for such a letter. That is why the look and the content of each and every letter, issued by different organizations, vary. 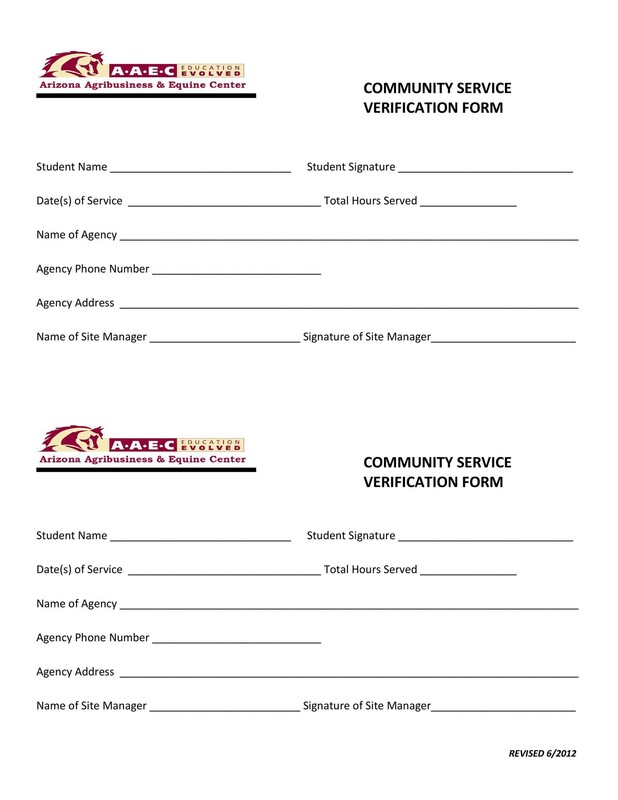 Some letters can be as simple as a filled up form, signed by the supervisor. Either that or it can be like a letter of recommendations with paragraphs explaining what you did. This article is all about this kind of letter, from the purpose to some tips on how to get yourself a great document. 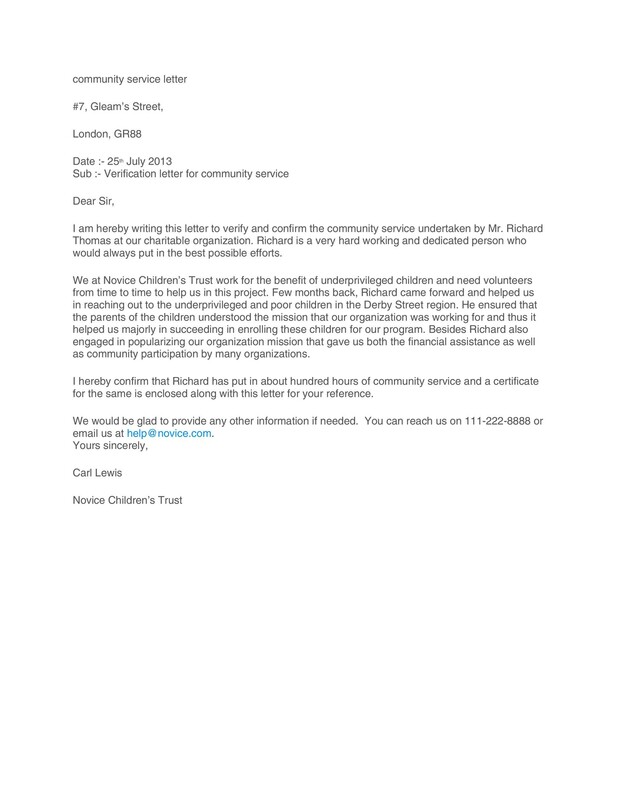 But first let’s look into the source of such a letter, the reason why it is made – which is actually doing volunteer work. Volunteering is defined as the act of sharing your time and your services to an organization or a cause without expecting payment in return. From the moment you decide to do volunteer work or community service, you will be thinking of and do a lot of different things. 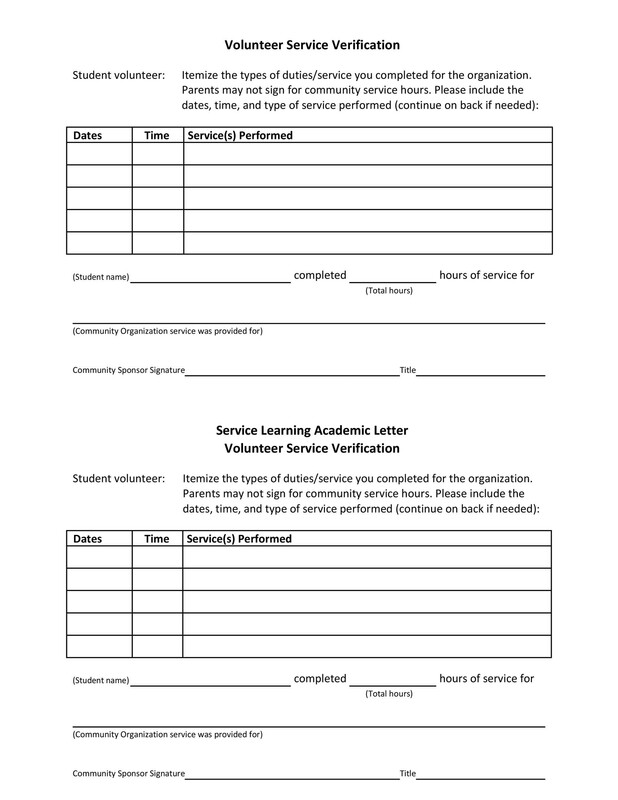 Let’s take a look at the whole volunteering process before we go to making a request for a community service hours letter or other similar documents. Search for the right opportunity to do volunteer work. You can search online for different jobs which you know you would do well. Read through the duties and responsibilities that come with the work and find the one which fits you the best. When you’ve found possible volunteer positions, do research on the organizations which are offering the opportunities. In doing this, you will be able to find out if the mission, vision and the values are in line with your own. This information is usually available on the website of the organization or the company you are doing research on. 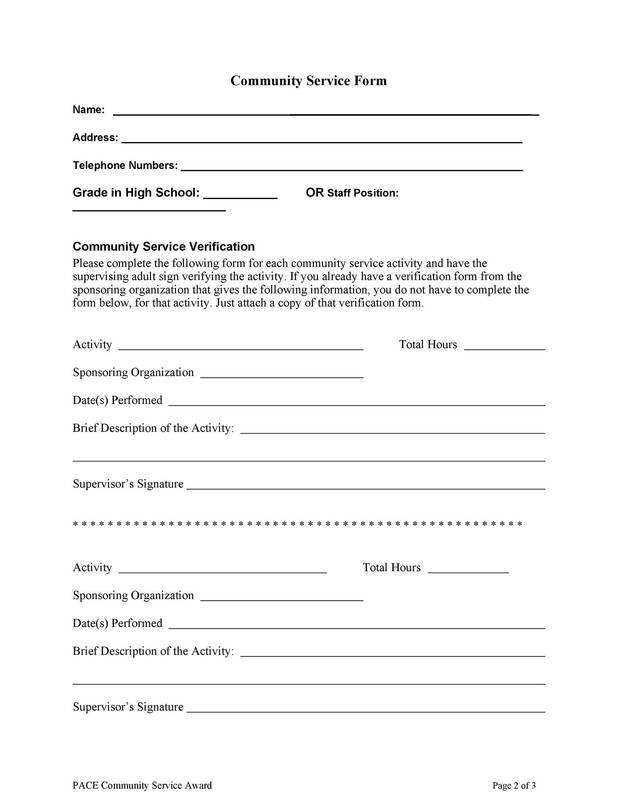 The next step is to find out who you should contact in the organization to be able to apply for the volunteer work. 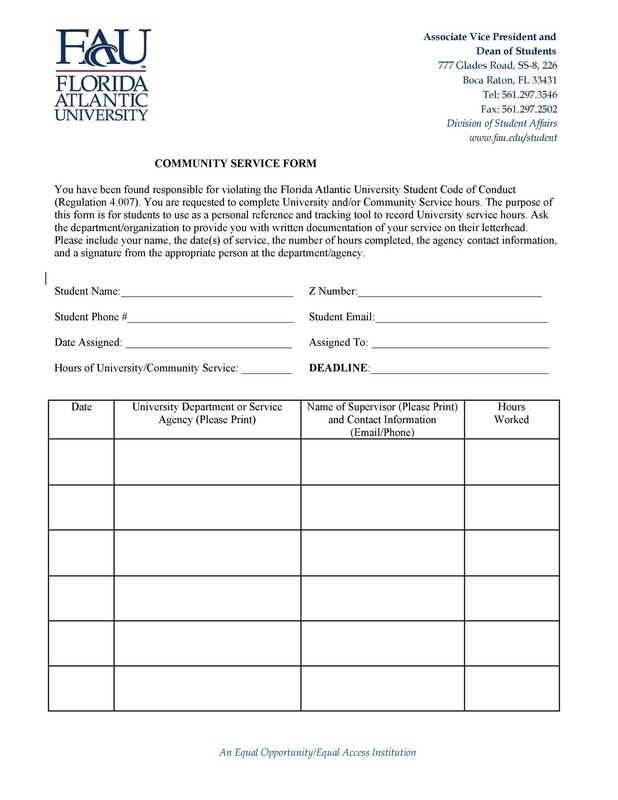 You may look for a contact number or an email address to be able to start your communication. 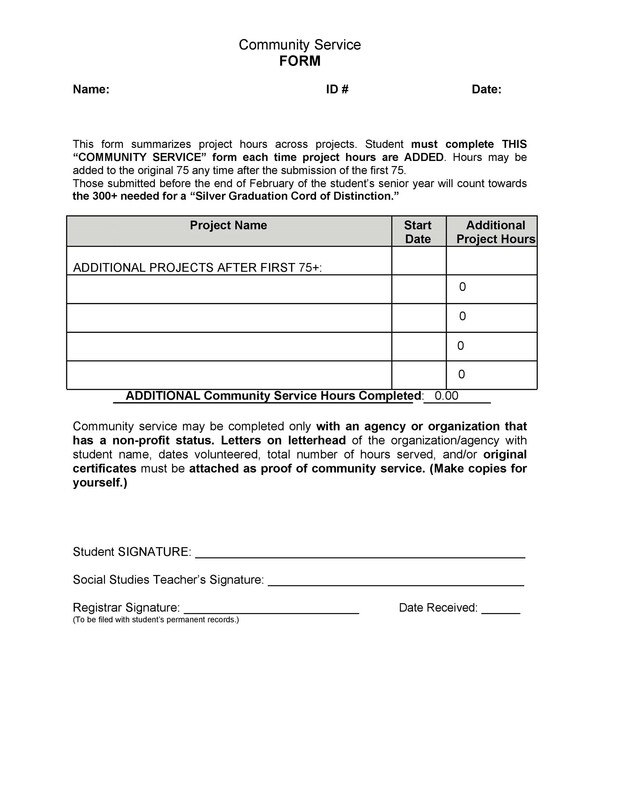 Draft a letter of application. Make sure it is professional as if you were applying for an actual job. This shows that you are serious about volunteering in the organization. When you have a good draft of the content, start formatting your letter. Use the proper margins, fonts and such to be able to show that your letter is professional. 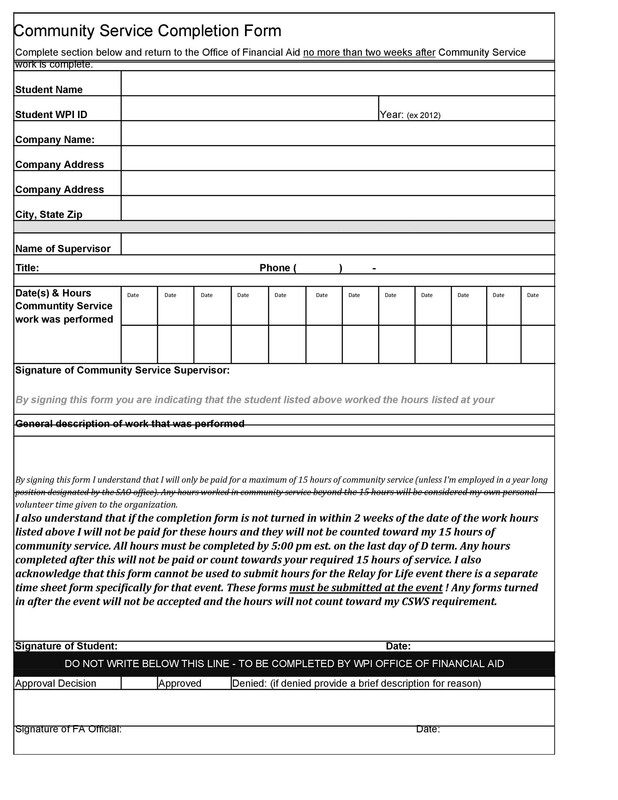 Include your contact details at the top left-hand corner of your letter/application. You should write your complete name, primary contact number and email address so that the person in charge of hiring will be able to contact you easily. Start your letter. Address the recipient of your letter using the appropriate title. Make sure you know his/her title so you will be able to use it correctly. If you don’t know the name of the actual recipient, you can start your letter with a subject line. The third paragraph should serve as your conclusion or closing. The first two paragraphs should have already introduced you properly, along with all your skill sets and positive points which would convince the reader that you’re a great candidate for the position. 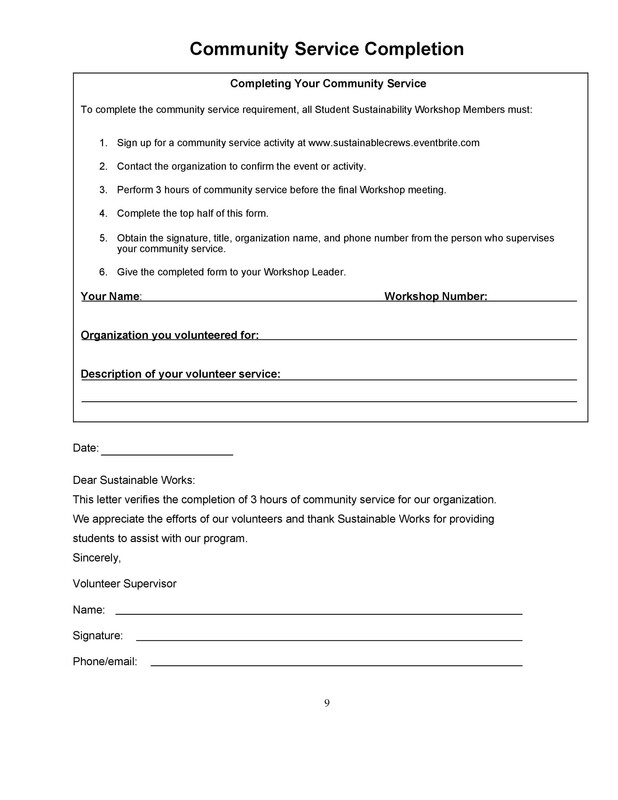 In the final paragraph, talk about how much time you will be able to commit to the volunteer work. You can indicate the best days you will be able to work in the organization or you can actually give a schedule. 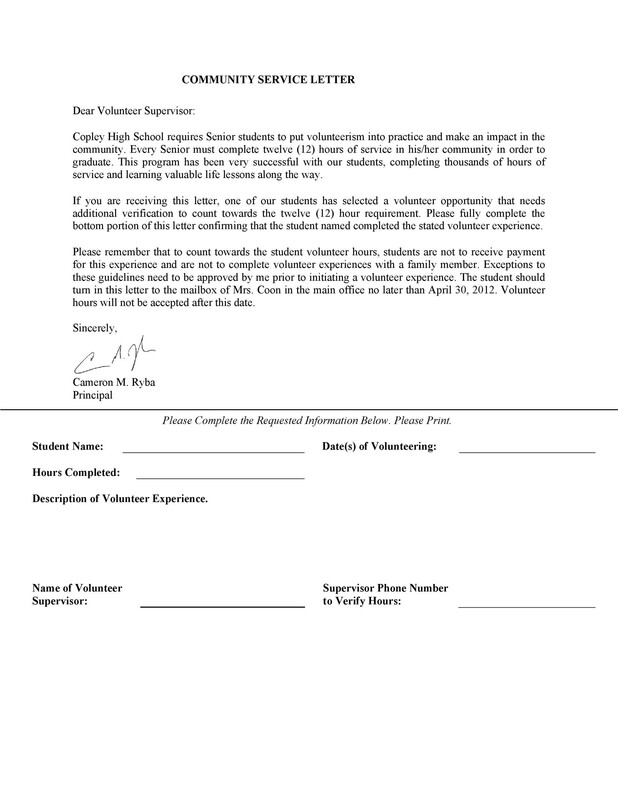 This is important information so that the people who will be hiring will know when to assign you to the volunteer work. Here you can also ask for an opportunity to meet the person/s who are hiring to discuss things further. Let them know when you are available for an interview so that they can set a schedule when you are free. From top to bottom, your letter should be professional. So close your letter with a formal statement, using language which is business-appropriate. 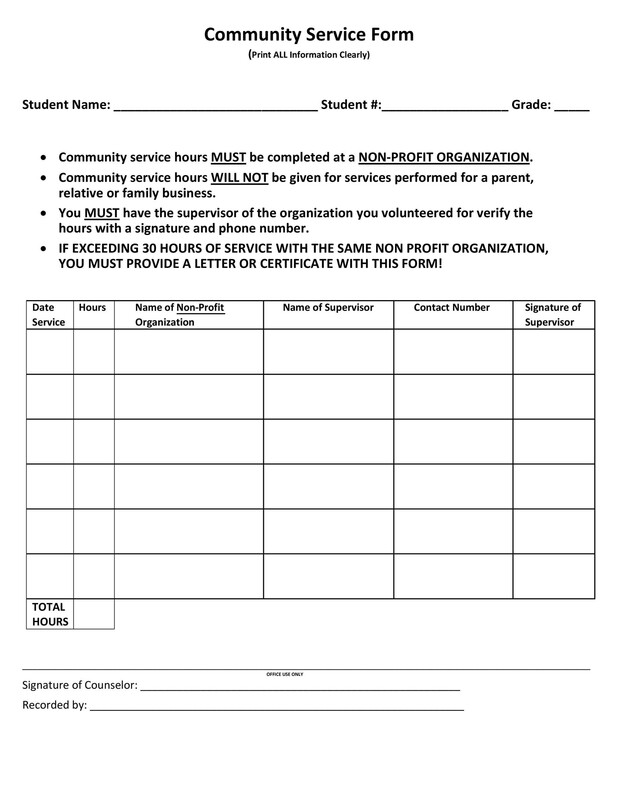 Add in your letter then affix your signature. 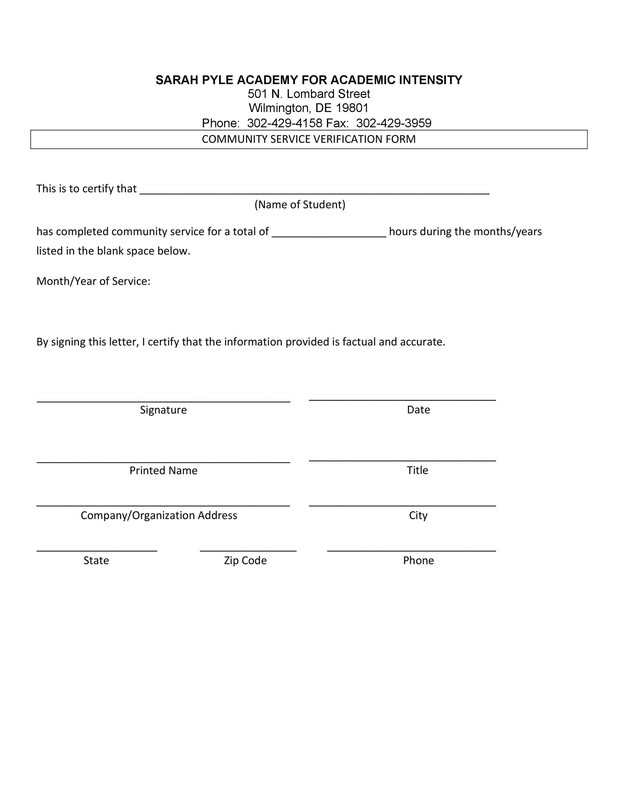 If you are sending the letter through email, print it out, sign it, scan it and send the file through email. Before sending your letter though, be sure to proofread it. Make sure there are no errors in spelling, grammar, and punctuation. Include a resume with your letter. That way, the people who are in charge of hiring will get a more detailed file of everything which you had written in your letter. Including your resume would also show them that you are taking the application seriously and you’d really like to be considered for the position. 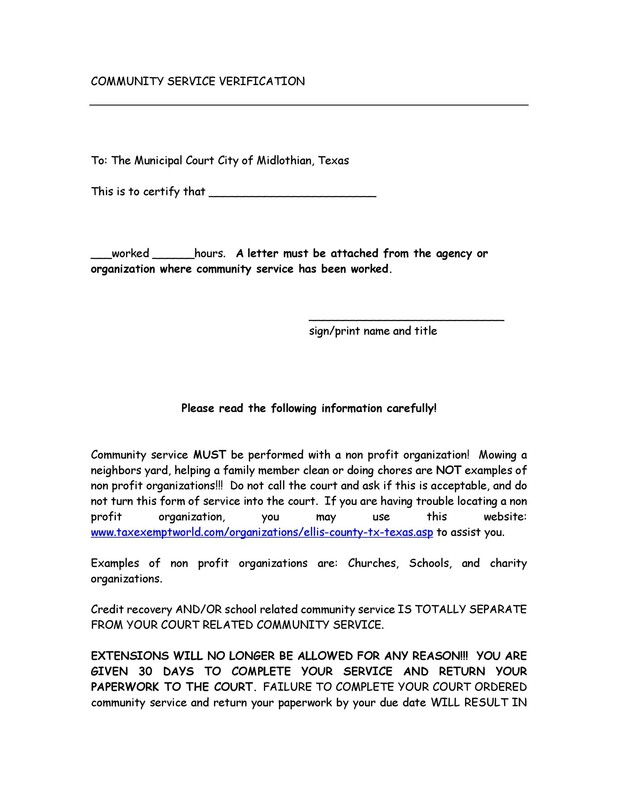 Submit your letter to the organization. 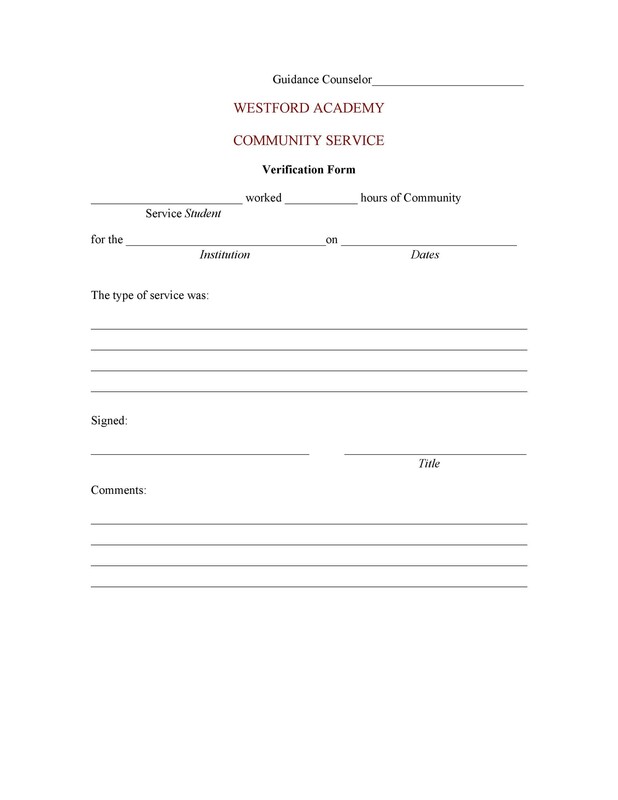 Usually, with the advertisement, information about how letters and applications should be submitted will be included too. So whether it’s personally, via email or through the more traditional post, submit your letter appropriately. Once you’ve submitted your letter, wait a good amount of time (from a few days to a week) before you follow up with an email or a call. 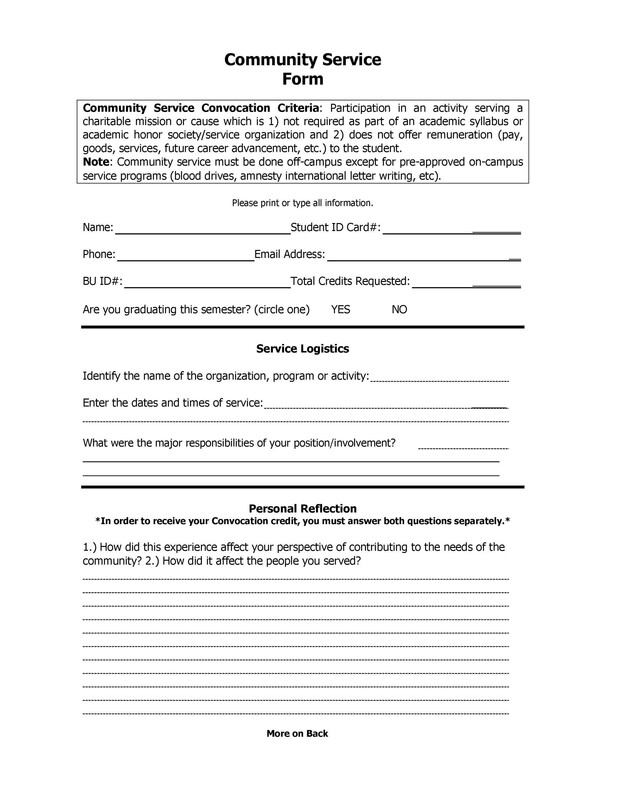 If you had done any kind of community service in an organization, especially if it involves work in the field you are interested in, you can request a letter afterward. When you start applying to different colleges, you will be able to attach your letter to your other documents to give you an edge. 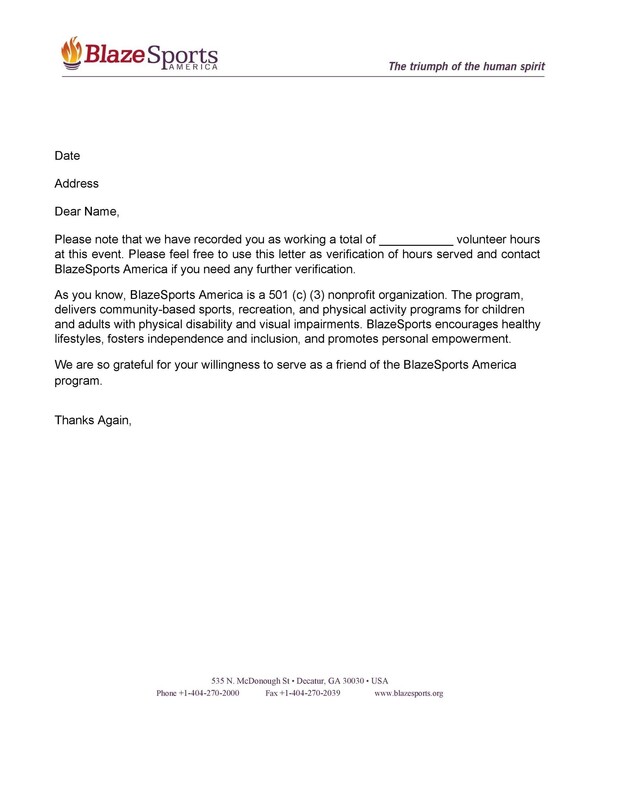 Having such a letter in your application can also say a lot about you – that you volunteered to do work for a good cause. 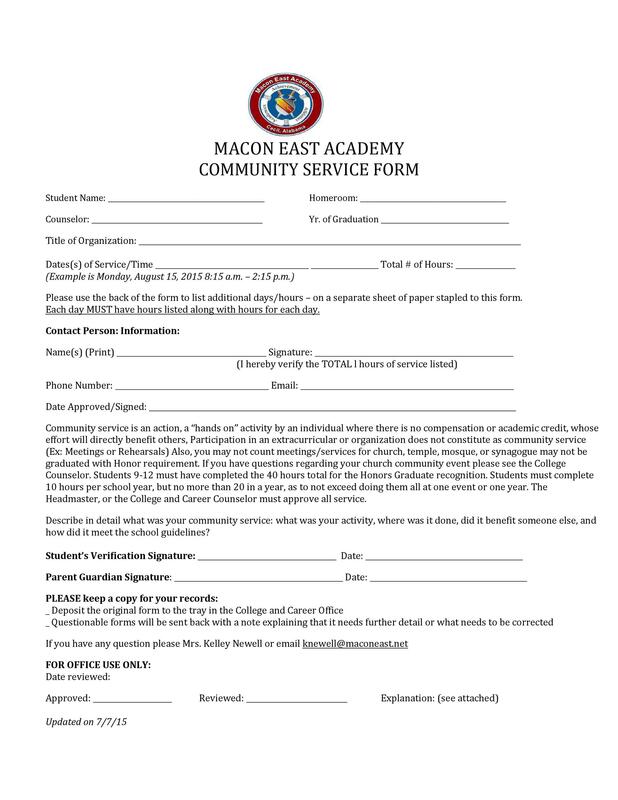 There are a lot of scholarships available which revolve around volunteering in the community. 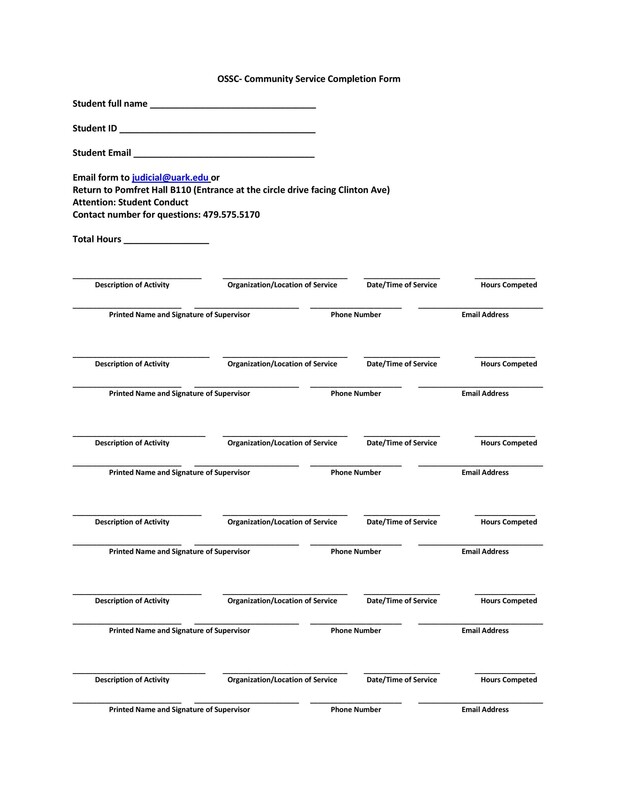 To be able to apply for these kinds of scholarships, you may be required to submit a letter, confirming that you had actually provided a service. 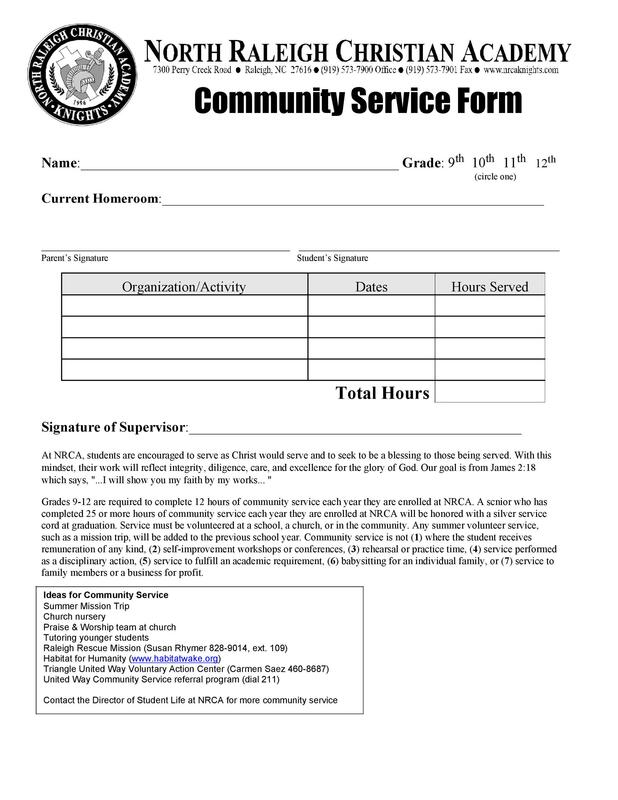 Before being allowed to graduate, some schools may require their students to complete a certain number of hours of community service. 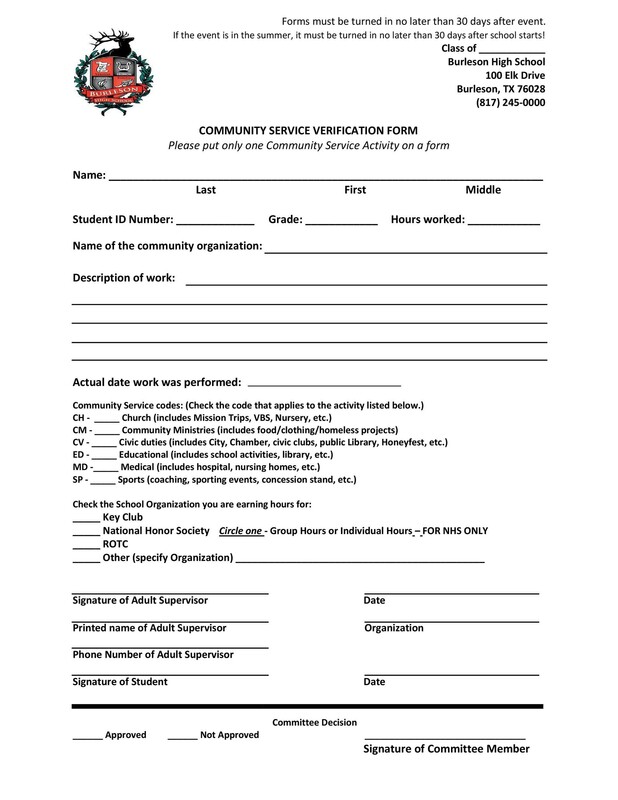 Once you’ve done the work, you can ask for a community service hours letter, which would serve as confirmation that you had actually worked for the organization. 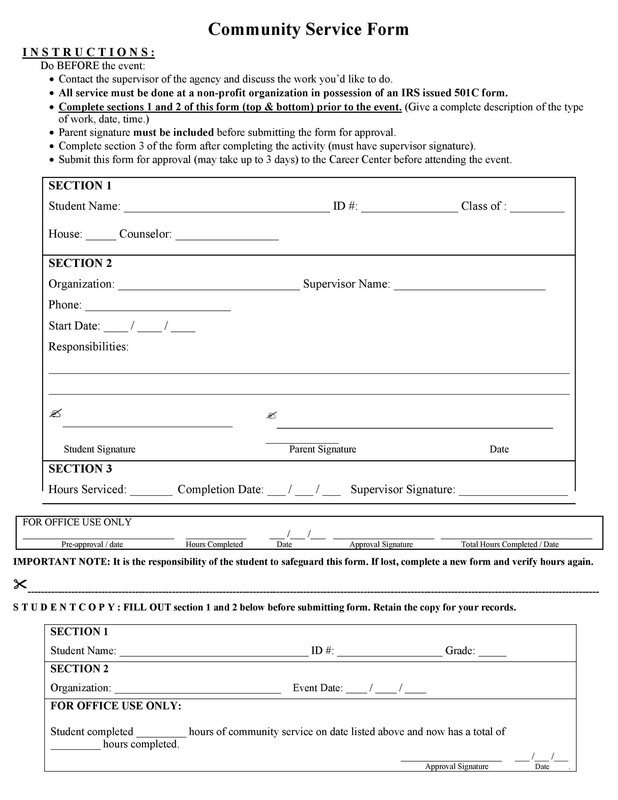 Some schools require this letter as part of the graduation requirements, either to graduate or to graduate with honors. For those who are done with their studies, you can also make use of such a letter. 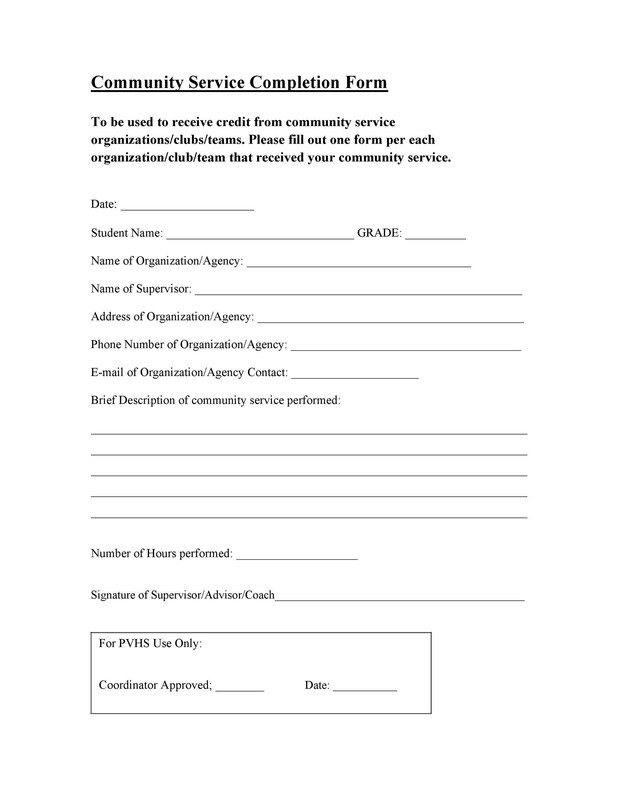 You can include the volunteer work you’ve done in your resume and attach the letter as a supporting document. 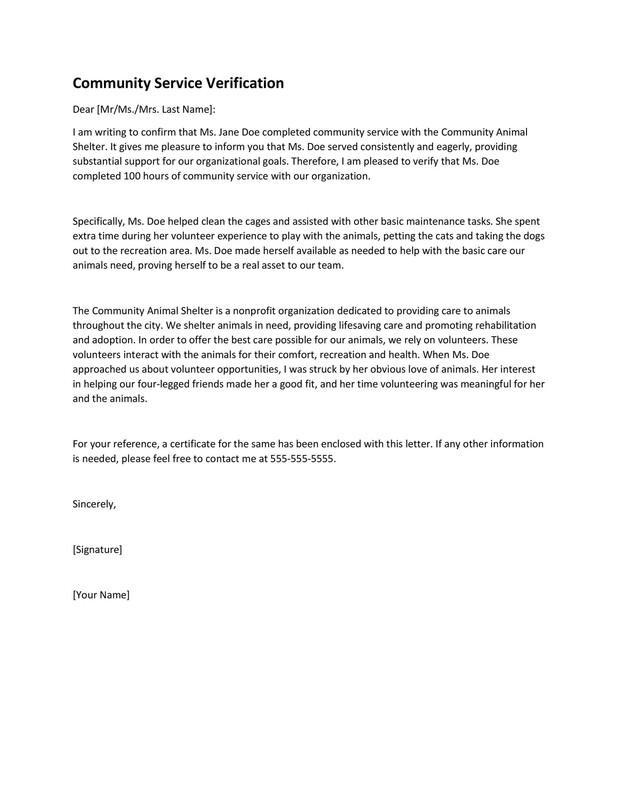 This will add a good element to your resume as it shows that you care and you are willing to do volunteer work for organizations and causes which you are passionate about. 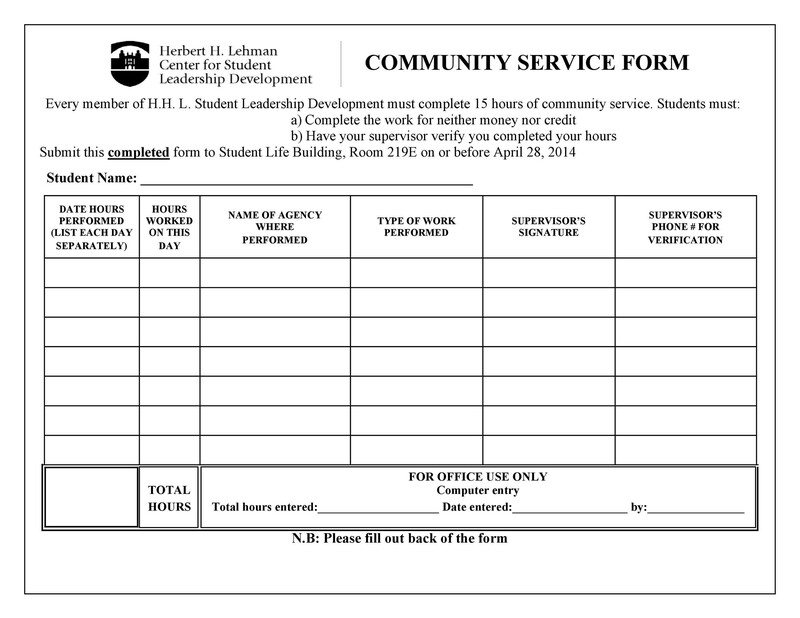 As you can see, a community service letter actually has a lot of purposes. Just because you are not expecting anything in return for your services, money or otherwise, it doesn’t mean you won’t get anything out of the whole experience. So now let’s go to the process of requesting such a letter. Doing volunteer work doesn’t usually come with the financial or monetary rewards. However, investing time and effort in such tasks can serve as an investment. Aside from feeling good about helping others, you can also be considered as a person with good moral and social responsibility. 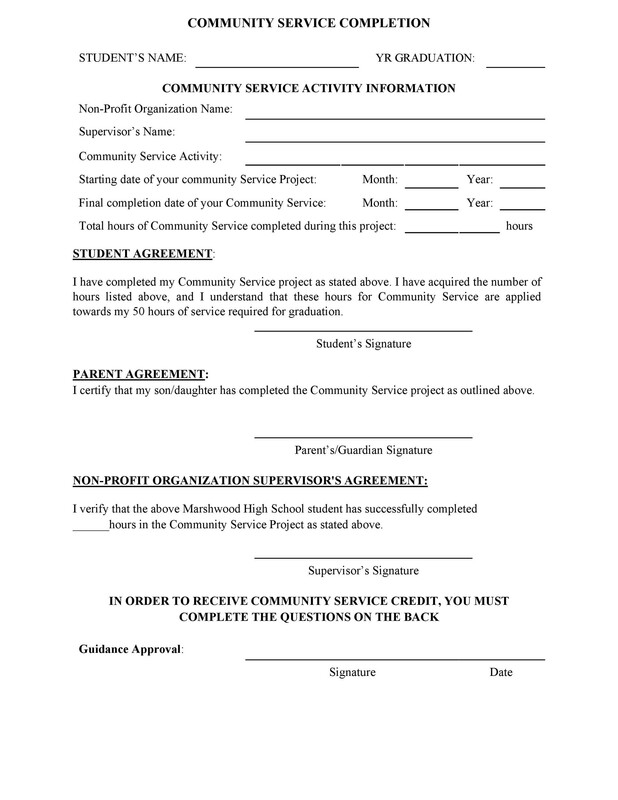 Contact the organization and ask for an authorized representative who will be able to provide you with the letter. 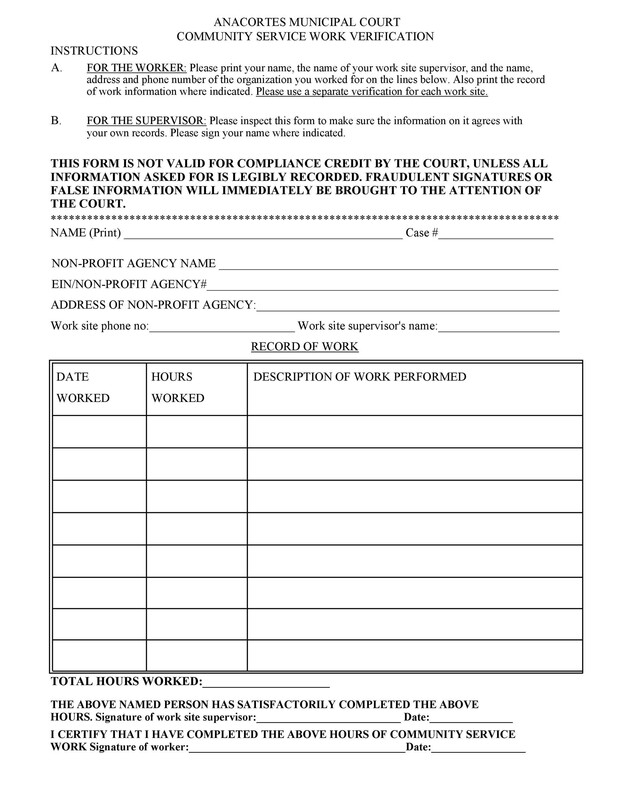 The authorized representative can be a manager, an officer, a supervisor or any person who was present and who supervised your volunteer work. It would be an ideal for you to find a person who is familiar with your personal work ethics. 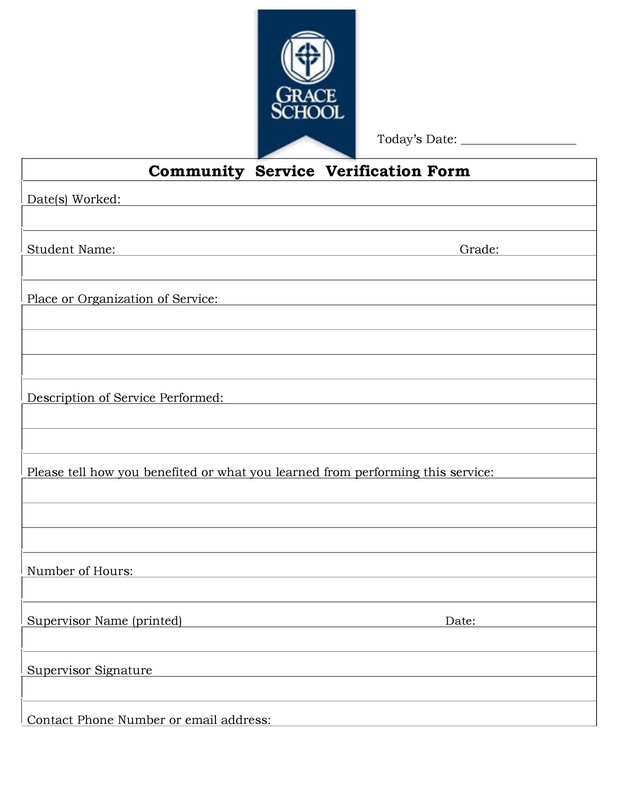 Once you’ve gotten hold of an authorized representative, advise that person that you are requesting for a letter to serve as verification of the volunteer work you had done with them. To be more convincing, give an explanation on why you need the said letter. 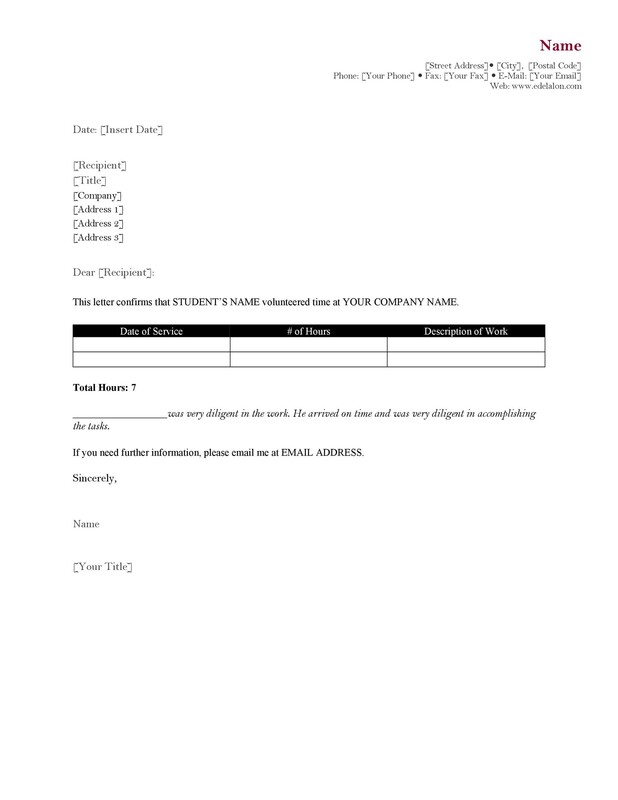 Inform the person who will be writing the letter to whom it should be addressed to. If you need to submit it as part of requirements, then it should be addressed to the right person. If there is no specific addressee, then ask for something more general. 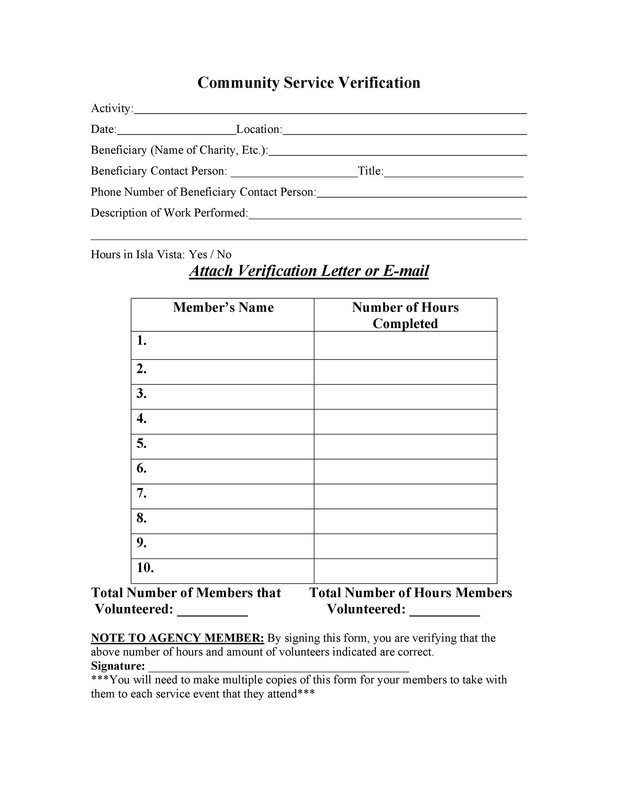 Make a request that the representative includes the name of the organization, how long you’ve done your volunteer work and the specific work you’ve done. 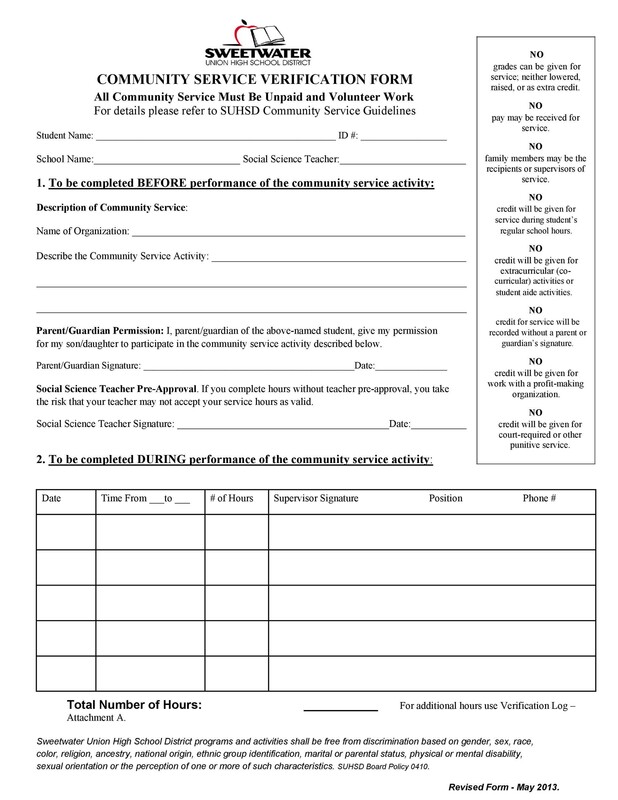 Also, ask the representative to give a short explanation to supplement the information. Finally, ask for an explanation in terms of how your contributions and services had helped the organization. Ask the representative if it would be possible to include a recommendation statement in the letter. To be able to do this, you have to tell them the purpose of your letter so they can tailor-fit the wordings of the statement to your purpose. When you’re done with all your requests, give the representative a self-addressed envelope. This is especially important if you are making a request for the letter to be sent straight from the organization via postal mail. There you have it, some helpful tips to guide you as you are requesting for your letter. 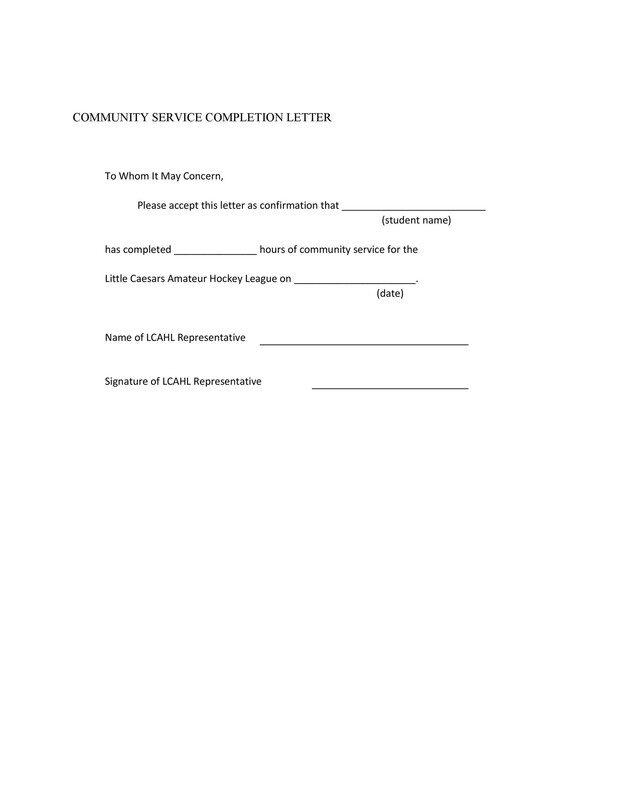 Letters vary in content, depending on what you had done and your purpose for requesting the letter. To ensure that you get a great letter, you would need a few helpful tips, which are outlined next. Obviously, to get a great letter, you should have great experiences. The better your experience is, the better your letter will be. Doing volunteer work for just one organization will go a long way. This would show that you have good commitment and that you are willing to do a lot of work for a specific organization or cause. When you do a lot of work for just one organization, the letter will show it. 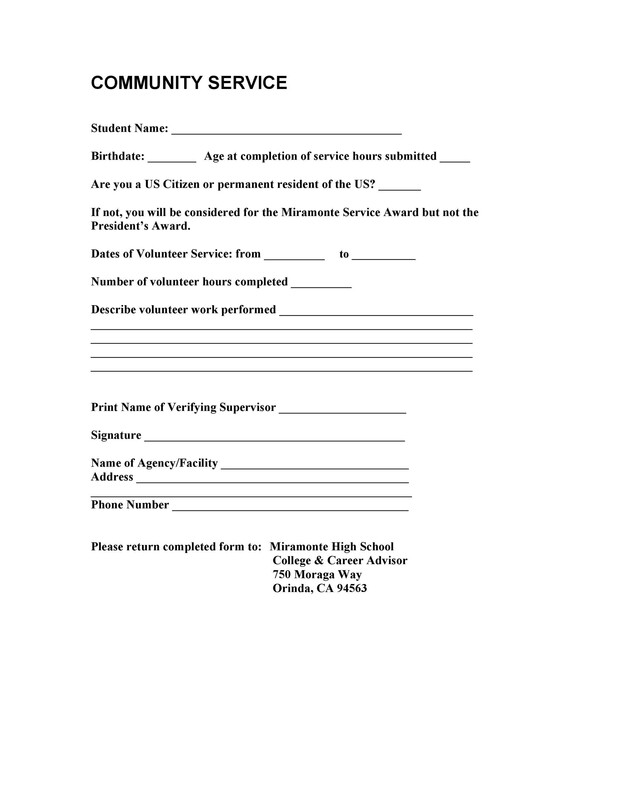 Most likely, all your dedication and work would have been much appreciated and the people from the organization won’t be shy on singing your praises. When you’re doing volunteer work, get to know the people you are working with and the person who is supervising you. Then it would be easier to ask for a letter. Not only that, since the person who will be writing your letter would know you personally, he/she will be able to come up with a stronger and more detailed letter about you. Be sure you are working in an organization you really like and for a cause you are passionate about. When you do this, you would end up working a lot better, which would make a bigger impression on the people you are working with. Before even thinking about who you will ask to write your letter, check what your purpose is. 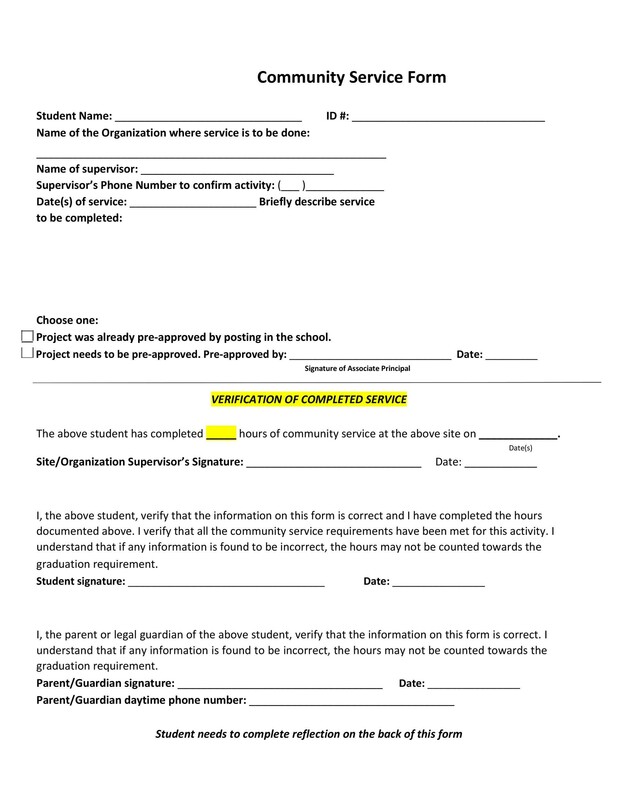 If you will be using the letter as an attachment for school or work applications, the requirements and tone are different. 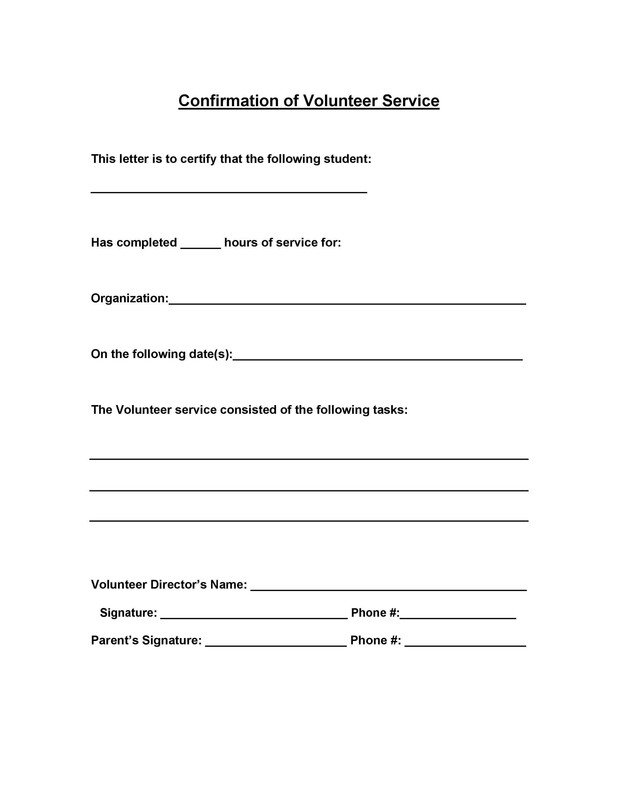 Most likely, the person will be the one who supervised you while you were doing the volunteer work. When you know your supervisor personally and you’ve made a good impression, then he/she is the best person to ask. If your supervisor is unable to write the letter, for whatever reason, try asking someone who you had worked with closely. This is because the person will be providing information about the work you had done in the organization. Asking someone you have worked with closely will ensure that the letter will have a lot more depth. The bottom line is: choose someone who will be able to provide accurate information on the later. Not only accurate information, but would also have a lot of good things to say about you. Then you’re sure to have a great letter. When you’ve considered who to ask and you have made a decision, then it’s time to talk to that person. 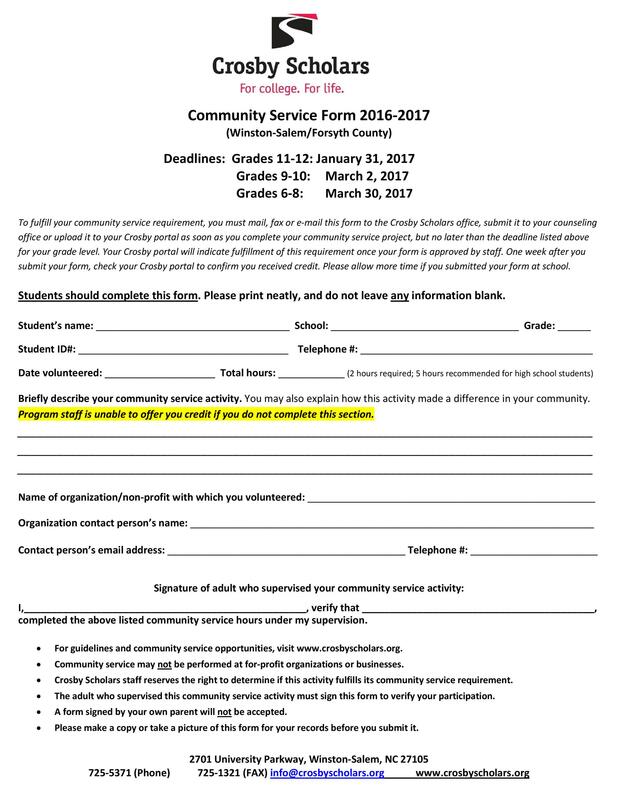 If all you need is to have a form filled out, then that would be very easy. 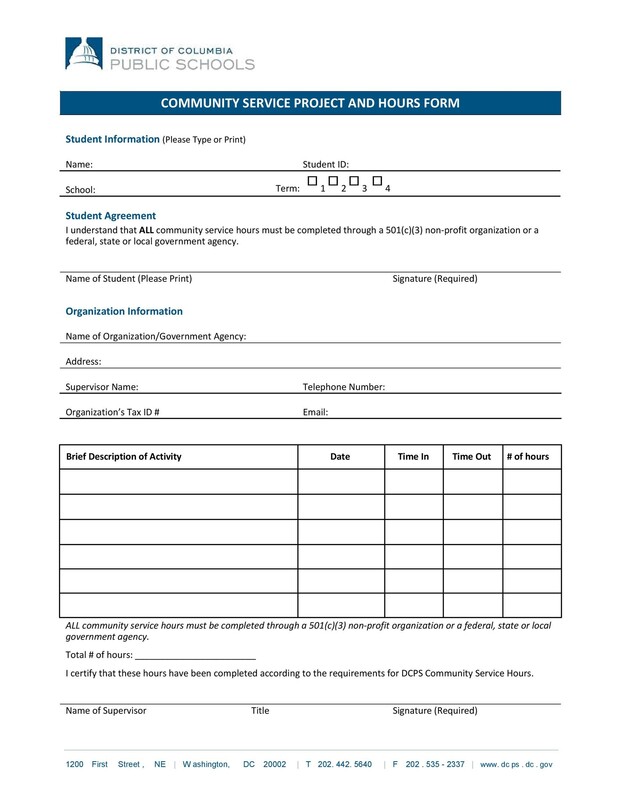 You can approach the person, hand them the form and have them fill it out. However if you need an actual letter, then you should give the person more time to come up with it. Ideally, you should make the request at least a month before the deadline of the letter so the person would have enough time to write it well. The best thing to do is ask the person directly. It’s more personal and it shows maturity on your part. When the person you had asked agrees to write the letter, give them a guide or instructions about the information which needs to be included in it. This is important so the person doesn’t have to feel too overwhelmed or intimidated, especially if it’s their first time to write such a letter. If you need to have the letter sent from their organization directly, provide a self-addressed envelope to make things a lot less complicated. Before asking for such a document, think about what information you’d like to be written on it. After you get the letter, double check it to see if all the information is correct or not. Also, check if everything you have discussed is in your letter. It’s important to do this because organizations usually have a lot of people doing volunteer work with them and sometimes the information may get mixed up. As soon as you get the letter and you’ve checked it, send a thank you note to the person who had written it. 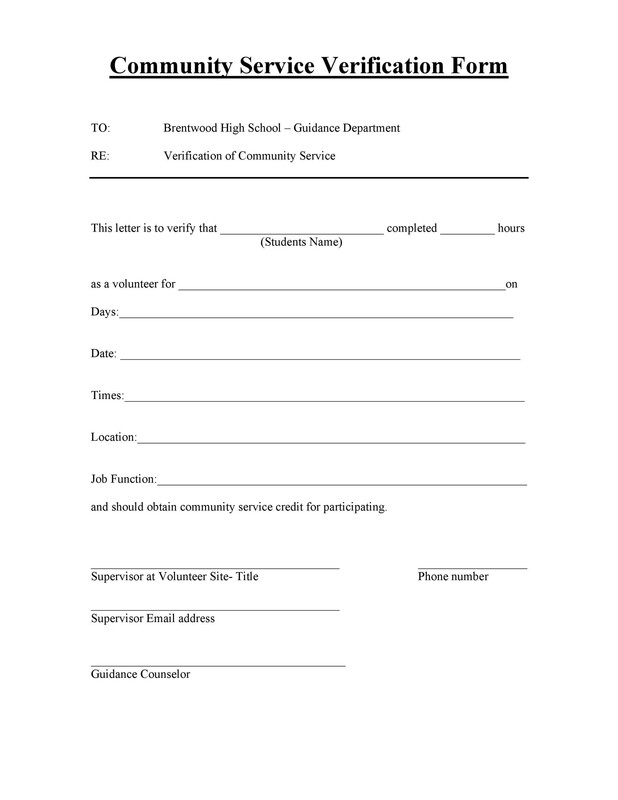 Make a lot of copies of your letter so that you can just send them out when you need them, for whatever purpose.